Where the vehicles are splendid, and the service is impeccable. Limo Tampa Bay is known to be the best provider of limousines and limo buses. Tampa Bay is a gorgeous area that is best enjoyed with a status of luxury. From the natural harbour to the amazing night-life scene, to the sports and up scale shopping opportunities, there's surely something that everybody can enjoy while they're here. 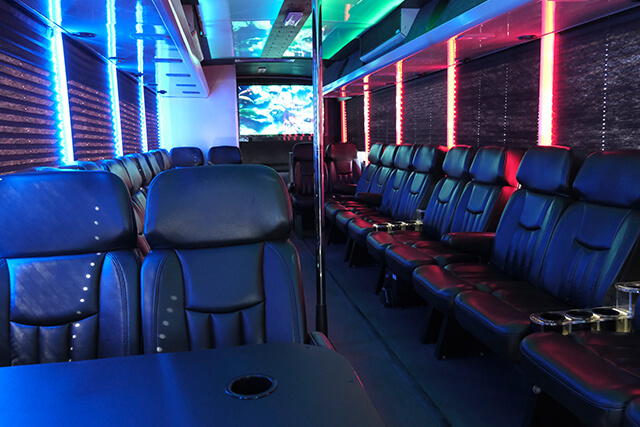 A limousine or limo bus should certainly be on your "must have" list for your experience in Tampa Bay, as you'll enjoy features and fun while we take you where you need to be. 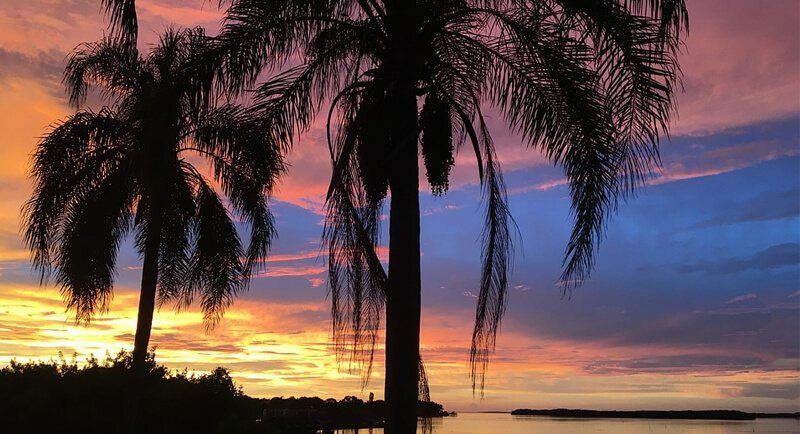 We cannot think of a better area with more things to see and do than the Tampa bay area. We know that you are not going to want to miss special destinations like Busch Gardens Tampa, the Tampa Bay History Center, the Tampa Riverwalk and the Florida Aquarium just to name a few. Just make sure that you are riding with us as you head to these amazing places and we can double the fun for you Tampa Limousine Services. We're here to bring you opulent, polished, and updated vehicles so your experience will be nothing but the best! Any event can be made better with just a simple phone call to our booking agents. You'll find the booking process to be simple and convenient, much like our transportation services! We always look forward to answering you questions and creating the best event possible. And one question we can answer right now is why we are considered to be the best company in the luxury entertainment transportation industry. There are several reasons for this and we would like to tell you about them. First and foremost, we only acquire the highest quality vehicles. Once a vehicle is in our fleet, we take that vehicle and install some of the most amazing amenities you have ever seen or experienced. This way the party will never end while you are riding with us. To ensure the safety of our riders, we have certified mechanics on staff who regularly inspect and maintain our entire fleet. What this means for you is that you won't have to worry about being left stranded on the side of the road or not making it to your destinations. Our company also hires professional detailers who meticulously clean every inch of our interiors between uses. And we are adamant about only hiring certified and experienced drivers who know the area roads really well. All of our vehicles are equipped with GPS which means there will be no getting lost. Now you know why we are the best of the best. It's an outstanding experience with us every single time we hit the road. Our customers are always giving us rave reviews for this reason and helping us to continue to do business by spreading the word about us! We really believe that most ads and commercials create a false image and we'd rather be known by our authentic services. Your experience with us is what it's all about, and the happier we make you, the more likely you are to be a return customer or even a lifelong customer, which is always our goal with Tips for choosing the limousine service for the wedding. We do have many lifelong customers in our rolodex, so to speak, and that means that they come to us first with a one-off event, like a night of bar hopping with their good friends, and then they end up returning for their wedding, their birthdays, their kids' sweet 16 parties and proms/graduations, and so much more. We get to know these customers as they continue to rely on us for their transportation needs, and we build a level of trust that few service providers ever do these days. There is nothing better than an honest-to-goodness relationship with our customers and a true level of satisfaction that has them recommending us to their loved ones. It's incredibly rewarding and it's why we do what we do. So what kind of event is it that you are planning in our beautiful area? Is it your birthday? An anniversary? What about a pub crawl or hitting up all the hottest night clubs in our area? Or perhaps you're tying the knot and you want truly spectacular transportation that is both elegant and fun. Remember, we've got both limos and limo buses, so you can choose one style of vehicle or mix and match to suit your particular needs. No matter what you are planning, we are the company who can take you there and make your night a truly memorable one! When you do pick up the phone and give us a call, we'll be able to provide you with a price quote over the phone instantly. You can also email us with the details and we'll get back to you as quick as we can with that quote. There's no obligation from you and we won't even have your details to charge you until and unless you actually decide to book your vehicle. But before you do anything, we highly recommend that you peruse our entire website in order to learn as much as you can about what we do. We suggest that you have a notepad and pen nearby in case questions or concerns crop up. When you do feel like you have gleaned everything that you possibly can from our website, it will be time to contact our customer service office. Our affable and well trained customer service agents are experts at fitting groups to the perfect vehicle and they absolutely love talking about what we do and finding solutions for specific plans. We do recommend booking as early as possible to avoid us already being booked up on your desired date of service! Beyond that, there are no limits to what we can do for you. We're open 24/7 all year round, even on holidays, so there's never a time that we cannot take you where you need to go. Just reach out to us at your convenience and we'll tell you all about how we can make your exciting night even more amazing! Let us help make your special day a worry free one with Limo Tampa Bay.